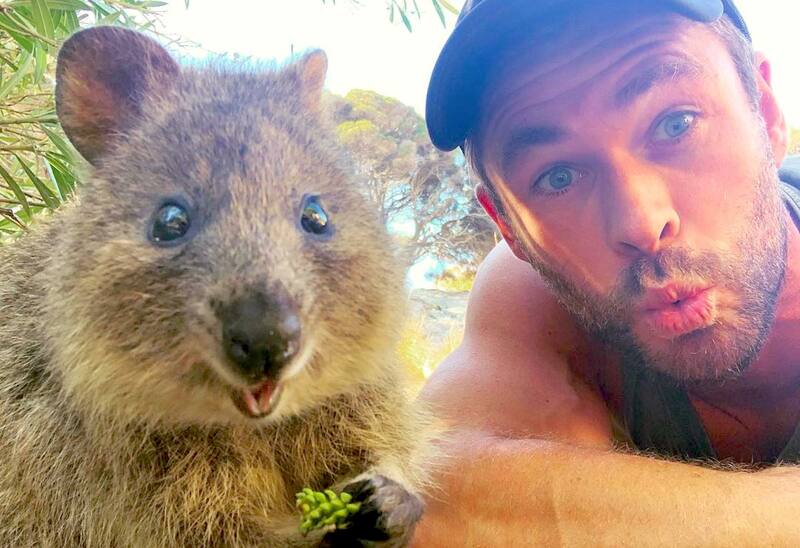 Superstar, Verified Hunk TM and lovely man, Chris Hemsworth recently travelled to Rottnest Island and made friends with another kind of superstar: a super-smiley quokka. Hemsworth posted a video of he and his new friend hanging out, immediately making Instagram and everyone in the AWOL office envious of both parties. They became fast friends, sharing everything early on in their relationship – the cheeky quokka took a tasty snack right out of Thor’s mouth before giving him a little boop on the nose in thanks (a fair trade). The quokka is a pint-sized marsupial related to the kangaroo and wallaby. 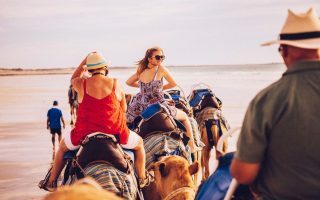 They can be found throughout Western Australia, but Rottnest Island is a hotspot for the adorable critters, who became an internet sensation because of their fondness for guest starring in traveller’s selfies. Chris Hemsworth is an Australian actor who appears in lots of movies without a shirt on and who everyone in the world loves. If you to snap your own quokka selfie, there are many eco-friendly accommodation options on Rottnest Island and plenty of stunning beaches to see around the island. 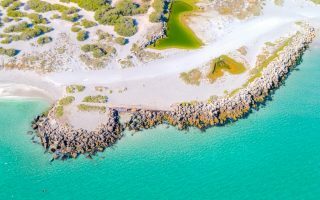 There’s also a whole lot of adventure activities on Rottnest Island, such as kayaking, skydiving, golf, fishing and surfing. 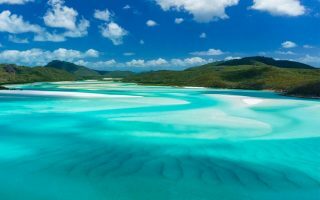 If you’re keen for more wildlife than quokkas, there are ospreys, whales, and snorkelling opportunities galore. Just a reminder: please don’t touch quokkas when you’re taking a selfie with them. They’re a vulnerable species and mothers sometimes reject their young if they smell like a human. You can still get up close to them though! 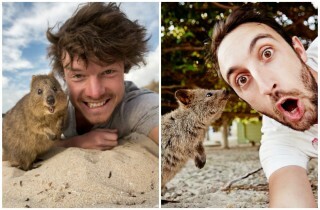 Just follow these handy tips and tricks to get a picture-perfect quokka selfie. 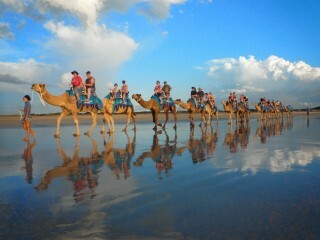 Check out Qantas flights to Perth to begin your next adventure.